Registered in Aug/2009, SunTransfer Kenya (STKE) is a solar company in Kenya with a bold mission – transforming rural lives and livelihoods through off-grid solar. We are driven and inspired by the challenge of making quality solar energy accessible and affordable to over 6 million households or 70% of the off-grid households in Kenya, majority of whom are at the bottom of they pyramid (BOP). At the core of STKE innovation is designing, testing and scaling last-mile distribution models to deliver the twin goals of accessibility and affordbility of quality solar energy to the BOP in Kenya. Gathu Kirubi is CEO of the company, a self-made solar energy entrepreneur and a strategic thinker. 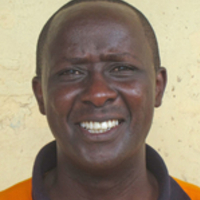 He brings over 15 years of deep passion and proven business acumen in creating and implementing innovative business models for delivering off-grid solar solutions to communities and micro-enterprises in rural Kenya. Borrower Suntransfer Kenya Investment Ltd.